These screws are made of high quality stainless steel material, which provides strength and offers good corrosion resistance in many environments. Different head and size screws can be used in different areas and suitable for diversified needs. 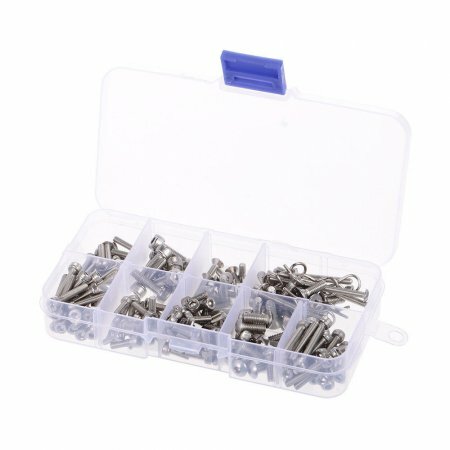 A necessary screws kit for you! Brand new in each packed. There are many different length of hexagon screws that you can use for various purposes. Used widely in the home and office appliance, communication equipment, ship assembly and other machinery industry.